Bob the Builder is a kids TV show. 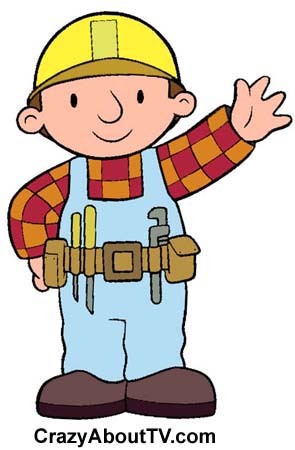 Little children around the world know and love Bob the Builder, the industrious craftsman. Bob teaches his young audience how to make friends with others and how to work together with them to accomplish seemingly overwhelming tasks! Bob says it all with his well-known mantra, "Can we do it! Yes we can!" Title: "Can We Fix It?" Bob the Builder "Can we fix it?" Bob the Builder, "Yes we can." Scoop Muck and Dizzy and Rolly too, Lofty and Wendy join the crew. Bob and the gang have so much fun, working together they get the job done. Many U.S. viewers are not aware that Bob the Builder originated in the United Kingdom on BBC2 in 1999. The series began airing on CBS in the U.S. in 2001. Thank you for visiting our Bob the Builder TV show page!